If I’m honest, shoes were the last part of my wardrobe I focused on. 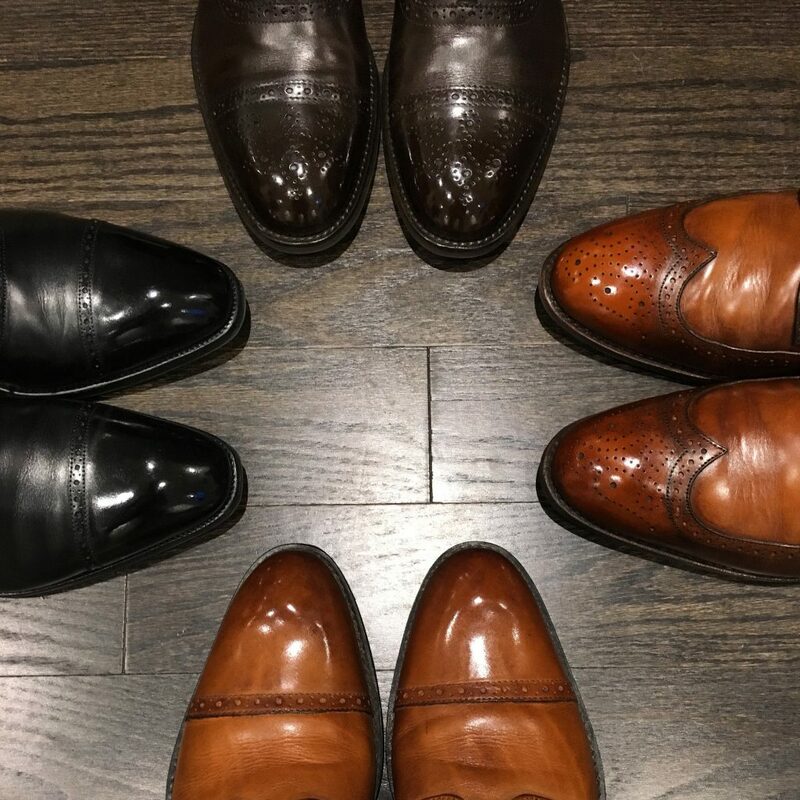 I guess I never really saw (felt) the value of a quality pair of shoes; I mean sure I looked at pairs from John Lobb, Crocket & Jones, Carmina and Edward Green… but they exist at a price that had to be aspirational only. So I would wait for sales and pick up department store brands that featured things like “genuine leather” (heavily corrected grain, more plastic than leather) and glued soles. For $50 they’d last me a year or two. I didn’t rotate or use shoe trees. I know, I know. Shoe-lovers – keep reading, I’ve learned the error of my ways. Anyways, last year I grew tired of throwing my money away. I had been spending enough time on menswear forums that I’d absorbed some knowledge about better quality shoes. I’d also learned that it would be a terrible mistake to jump up to the likes of the brands I mentioned above, so I started to look for something more entry-level. I came across a few brands that warranted further investigation – Meermin and Velasca. As I began to research the style of shoes I needed, a fantastic deal came up on a beautiful pair of NIB Carmina black captoes on eBay through the Styleforum affiliate vendor, master consigner and generally awesome dude at Luxeswap so I pulled the trigger. The shoes arrived, and my time spent scouring the internet for information on Carmina last shape and sizing had paid off – they fit perfectly! A couple of months later, Velasca had offered up a discount in return for sharing some honest feedback. 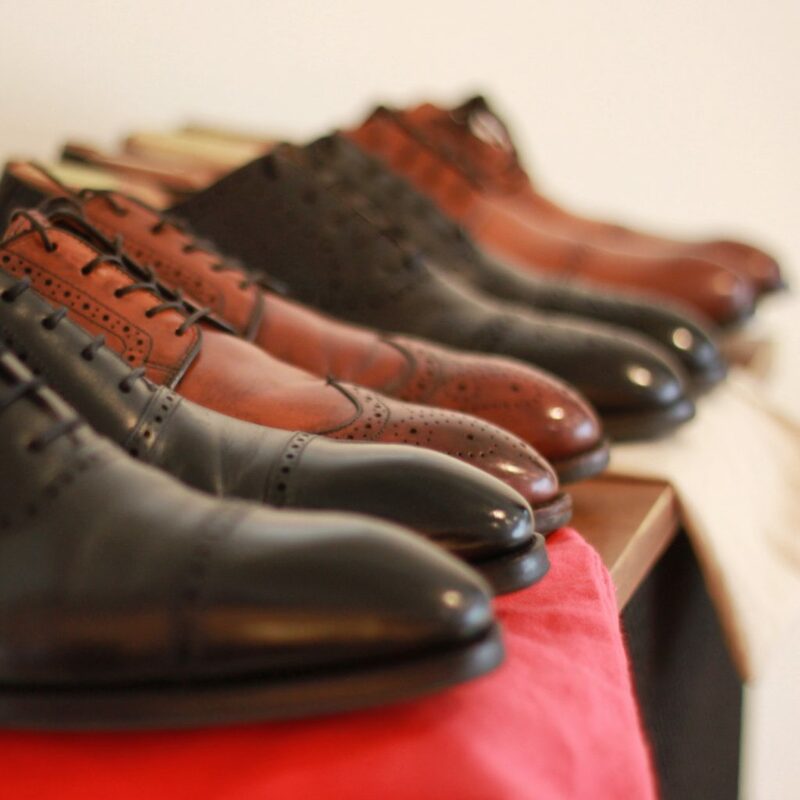 This helped me make the decision to try them, so I picked a pair of dark brown full brogue captoes and a pair of brown suede penny loafers and placed the order. Once they showed up, I had a reasonable base for a shoe rotation. I’m glad I’ve taken it reasonably slowly acquiring shoes. The more I wear the ones I own, the better I’m able to define what I like and don’t like about them, and include that in planning my future purchases. I hope you’ll do the same.